This ’movement’ is driven by a panel of fundraisers who share Rogare’s outlook to constructively challenge and critique current professional practice and ideas. Until now, panelists have been largely drawn from the UK – 50 of the 66-strong group work for British organisations, although five US-based fundraisers and one Canadian also sit on the panel. Due to the high level of interest in Rogare’s work in the USA since the publication of the relationship fundraising review, which was co-funded by Puruant (with Bloomerang), Rogare has decided to expand its reach into North America by focusing its annual recruitment drive for new panel members on the USA and Canada. Dallas, Texas-based Pursuant ­is supporting this endeavor by becoming the Lead Associate Member in North America, with Curt Swindoll, executive vice president, and Hilary Noon, vice president, market solutions, joining the Rogare’s advisory panel. 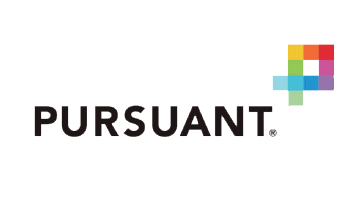 Pursuant will take a guiding role in recruiting our North American thought leaders and lead the panel’s efforts to embed this critical mode of thought into professional practice. 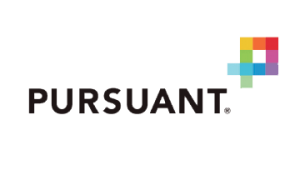 As part of their commitment to this endeavor, Pursuant will host a “retreat” for the US and Canadian members of the panel in Colorado Springs in November. “Pursuant is thrilled at the opportunity to partner with Rogare to launch Rogare in North America. At Pursuant we have been long committed to challenging business as usual’ thinking in the nonprofit space. Rogare is in many ways our perfect academic match in this commitment. Rogare’s review of relationship fundraising, which Pursuant co-funded with Bloomerang, was published earlier this year. It suggested how current ideas and theories on relationship building. Click here for more details about you can be part of this movement by joining Rogare’s advisory panel. Associate Members are suppliers to the fundraising sector who share Rogare’s ‘Critical Fundraising’ ethos. Associate Members will assist Rogare in identifying areas of research and plan the publications, events and other outputs that will bring this research to the attention of the fundraising practitioner community. Download Rogare’s review of relationship fundraising.